The Oort Cloud which extends more than a light-year from the sun contains trillions of objects mostly of comet size. The Kuiper Belt is a collection of icy objects located at Neptune’s orbit and beyond and has more than 1000 known members. Some 440,000 known asteroids populate the asteroid belt mainly between Mars and Jupiter and the total may be millions. Some of these intersect the orbit of the Earth. 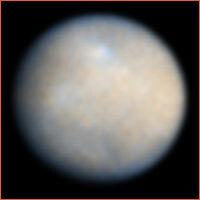 The largest of these asteroids is Ceres with a diameter of 950 km and Vesta with a diameter of 525 km. Together they make up a third of the asteroid belt’s total mass. 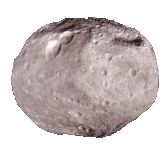 Vesta has a 22 km high mountain and a crater 22 km deep. This is 14 km higher than Mount Everest. Sixty-five million years ago an asteroid 20 km in diameter which has been named Chicxulub crashed into the Gulf of Mexico with 100 trillion mega tons of force. It formed a crater 180 km wide and 10 km deep and this covered the Earth’s atmosphere with a thick layer of dust which blocked out the light from the sun for twenty years. This catastrophe spelled the end for ninety percent of all life on the planet and in particular it was an extinction level event for the huge reptiles known as dinosaurs which roamed the Earth back then. However it allowed for the smaller more adaptable species including mammals to grow and flourish which eventually led to the advent of humans. I have taken this as the premise for my novel ‘Farewell to Paradise’ in which an alternative scenario suddenly comes into being where there is no collision with an asteroid, the dinosaurs are not destroyed and humans never develop on Earth.